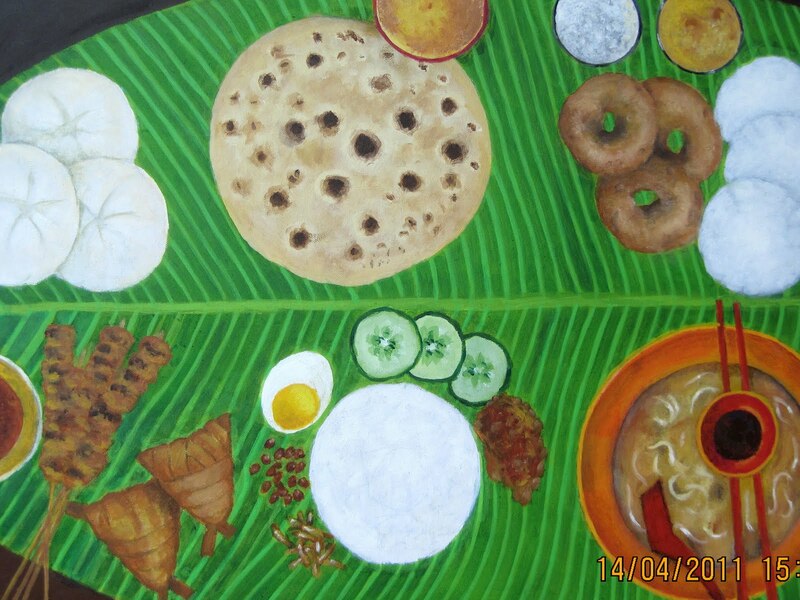 I love this artwork (acrylic on canvas) by Jayashree Ramasamy @Jay, who has captured the mood of the traditional Malaysian Indian kitchen. 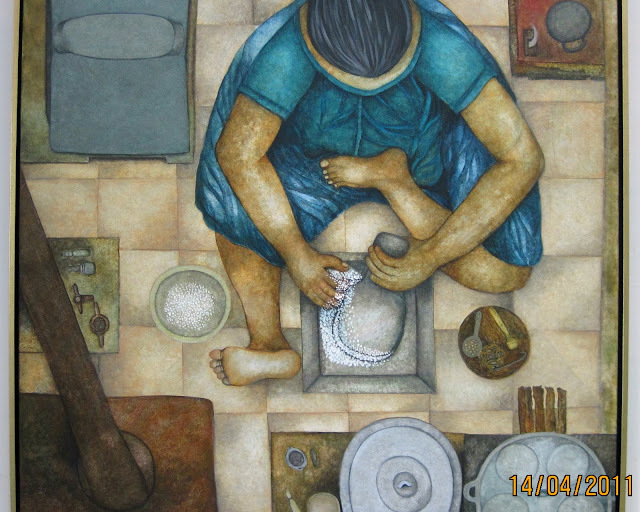 Jay recalls her grandmother preparing meals for the family in a room which was equipped with ancestral cooking utensils and that was the inspiration for this painting. For more of Jay's creations head for the National Art Gallery where 'The Story Telling' exhibition is now being held (April 14 to May 15, 2011). 'The Story Telling' is a group exhibition showcasing the creations of four emerging artists including Jay from the Symbols Art Club. The other three artists are Kathiravan Subramaniam, Rohini Indran and Mohana Kumara Velu @ Mona Kv. Each work of art is a story that the artist tells about his or her personal experiences and observations of daily life. The launch this afternoon was in conjunction with the Tamil New Year today. Malaysians are known to have a distinct mix of seasonings in their dishes.